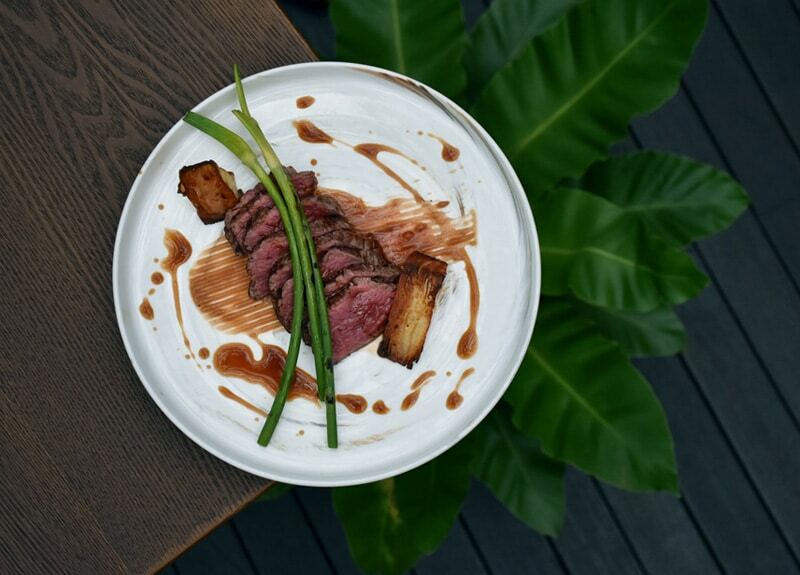 If you’re looking for an elegant dining venue that’s different from the usual urban haunts, Botanico is a good bet. Hidden away in the lush environs of the Botanic Gardens, the restaurant is set in a historic colonial building that offers views of greenery and flowers on all sides from the bright indoor dining hall and lovely air-conditioned terrace. The menu takes inspiration from the natural surroundings with botanical-based cocktails and seasonal bistro-style dishes with subtle Asian touches. Lately we’ve been spending a lot of time in the Keong Saik hood checking out all the new spots that are popping up there like Olivia, The Guild and Thevar. But this past weekend we wanted to hit up a different part of Singapore where we don’t usually hang out, so we decided to give Botanico a go. Walking into the gardens on Friday evening was lovely as the moon was shining overhead and everything was fresh and green. Trees lined the path, and as we walked up the stairs to the restaurant, we could see more trees in the distance, which really gave us the feeling that we had left the city and were immersed in nature. 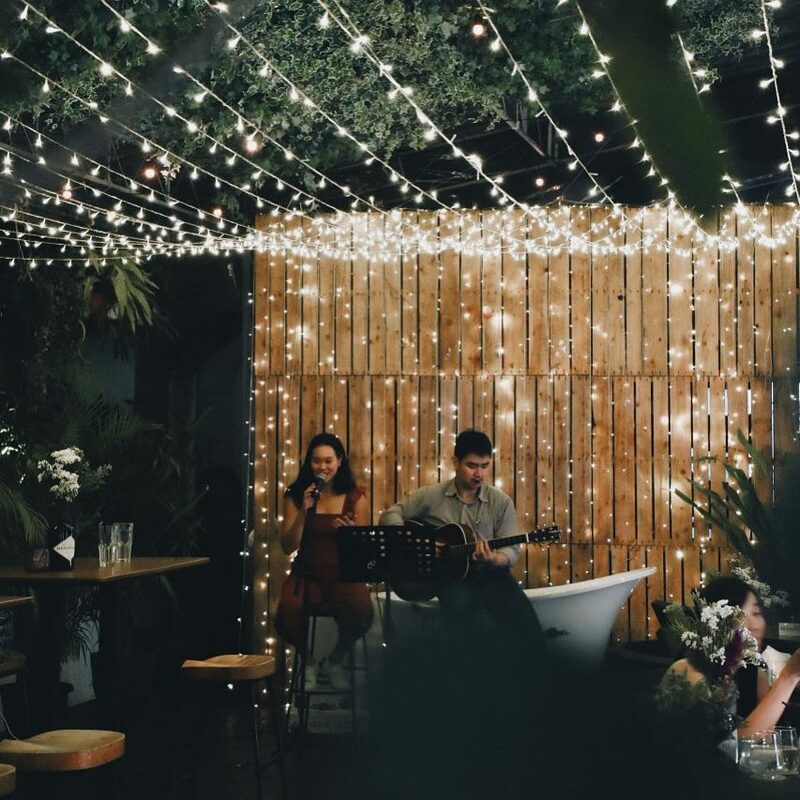 We were seated on the patio under strings of twinkling fairy lights, and were pleasantly surprised to find that they had air-conditioning out there and a live band playing jazzy tunes. The menu had tons of tempting options to choose from, so we ordered up quite a few to share. Out of the dishes we tried there were a few that we would definitely order again. One of our favourite starters was the asparagus tempura ($14), which came golden and crispy, topped with scallions and sesame powder, and served with a smooth miso hollandaise. The Assam laksa ceviche ($17) was also lovely, as it was fresh and vibrant. Don’t let the shrimp paste ice cream deter you because it actually blends perfectly with the raw seabass, green chilli, pomegranate, shaved ginger flower, and tamarind dressing. For mains we loved the tender wagyu beef cheek ($34), which was braised in a lemongrass broth, glazed with caramelised soy, and served with a barley risotto and fiery papaya and apple salad. There are also great vegetarian options like the hazelnut polenta ($26) with wild mushrooms, nuts and seeds and the celeriac curry ($25). Botanico has been around for a few years and is brought to us by the 1-group, which is also behind dining venues like Monti, Stellar and the Summerhouse. The concept is modern bistronomy inspired by the seasons, so you’ll find that the dishes may change depending on what is growing best at that time of year. They also have a wine list featuring 30 bottles, each of which has been rated 90 points or above by the Wine Spectator. We highly recommend requesting a table outdoors, as the terrace is beautiful and it changes the whole dining experience. The live band is only there on Fridays, so if you happen to go then, try to snag a table on the right side so you can face the musicians. Apparently you can also request the band when you call to make a reservation, so do ask about that if you plan to go on a different evening. 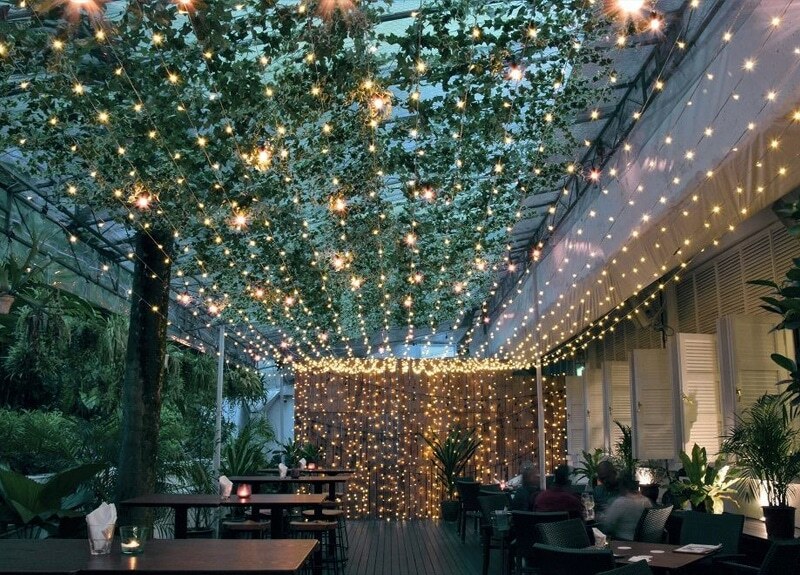 We reckon this is a great place for a date or those times when you have people visiting from out of town.